← Get your collective butts in gear! Yup. 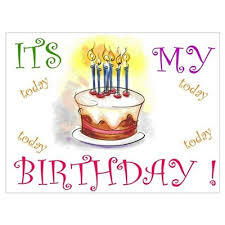 Today, December 9th, is my birthday. All day! Actually, I celebrate the entire week before the 9th and a day or two after, but hey, it is all about me, you know? The festive mood on the river isn’t just for my birthday, you know? It’s snowing!!! How cool. Birthday snow is the most magical snow ever. 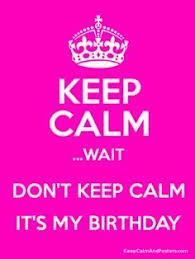 Did I mention it’s my birthday? Anyway, if the snow had been sticky I would have made a snowman and, bingo, it would have turned into Keanu Reeves. Sadly, the snow won’t stick so I’m left with making snow angels which is still loads of fun. The ducks don’t seem to be enjoying the snow, but, hey, that’s what they get for defying Mother Nature and remaining in the north. 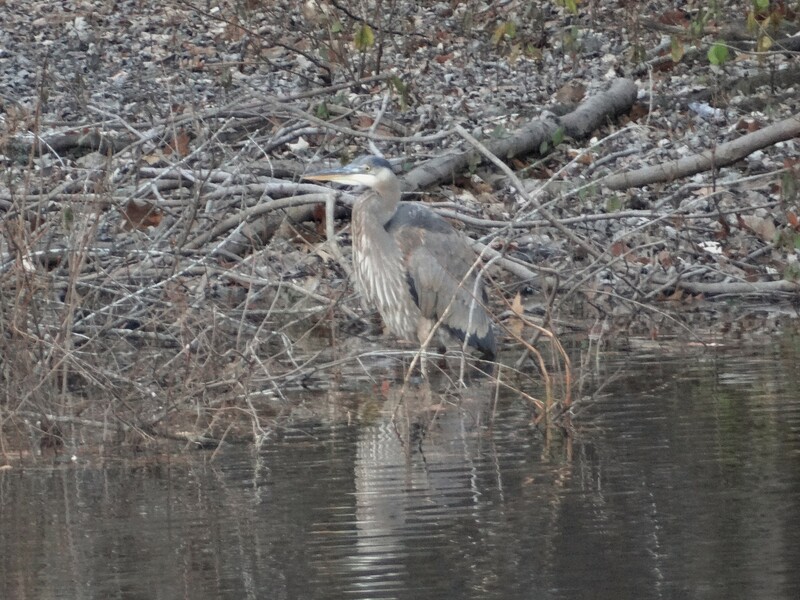 Another straggler who might be rethinking hanging around is the great blue heron. She’s been lollygagging on the bank opposite my beach as if she has all the time in the world. Well, I bet she’s singing a different tune tonight. 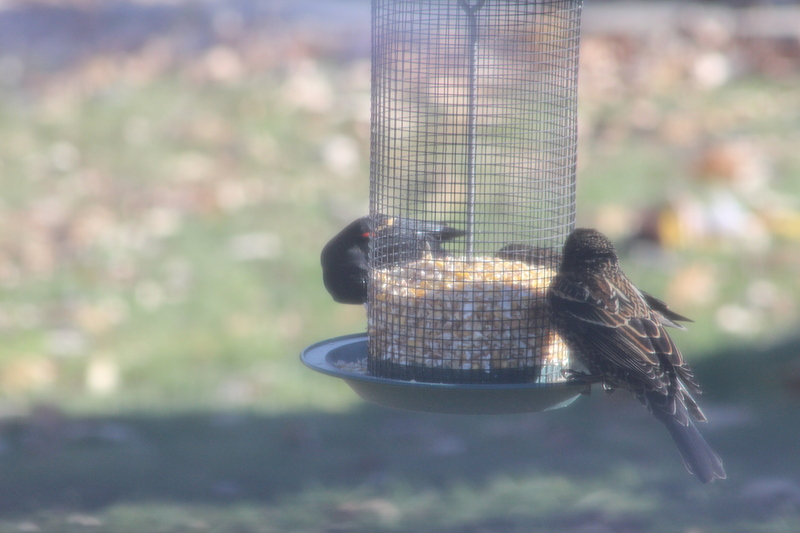 A red-winged blackbird came through ahead of today’s storm. 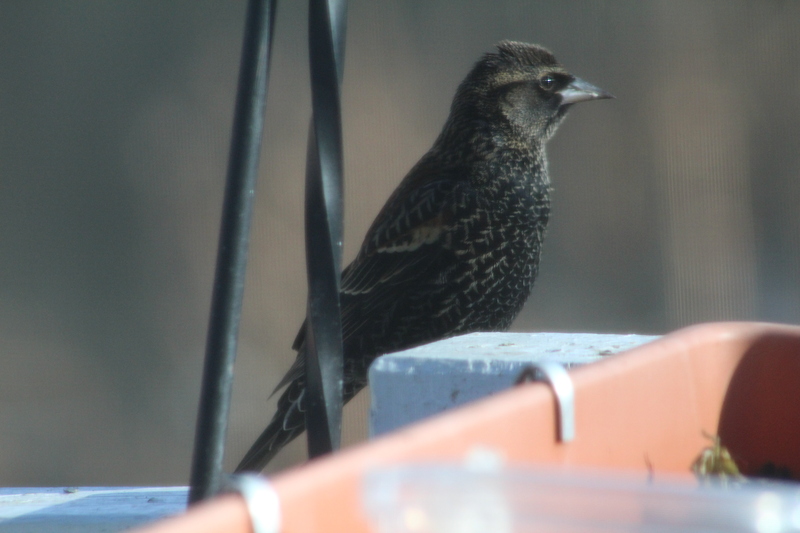 He had with him several females or they could have been juveniles. It doesn’t matter because, either way, he’s late and should have been down south by now. That’s all I have at the moment. Short and sweet. As long as I’m on the subject of sweet, I’m going to have some cake. Care to join me? Did I mention it’s my birthday? Gallery | This entry was posted in Life on the Concord River and tagged fun blog, it's my birthday, keep calm it's my birthday, popular blog, riverlady, single woman living on a river, snow on the Concord River, stories about living on a river, stories about living on the Concord River, successful blog. Bookmark the permalink. May this year hit all the highest notes for you,rejoice in the splendour of your lovely life,created by you….how fantastic you are Cindy. Happy belated birthday. 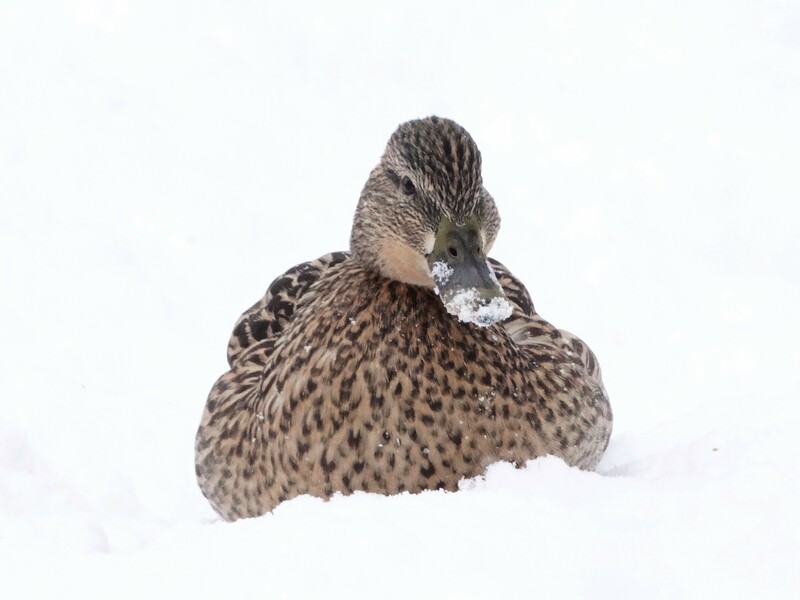 Nice pic of the duck hunkering down in the snow!